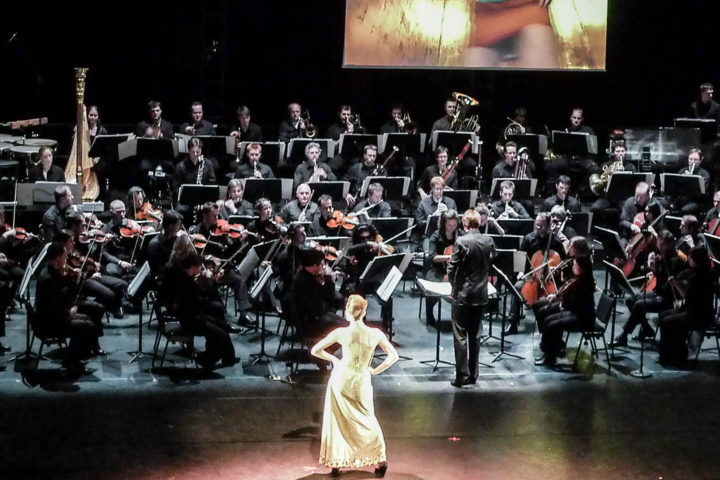 One of the most radical and most playful orchestral projects – the orchestral miniatures of the ORF Vienna Radio Symphony Orchestra – are the starting point for the first joint project between the Tanzquartier Wien and the ORF Vienna RSO. Each in their individual choreographic style, five of the internationally highest-profile choreographers working in Austria – Claudia Bosse, Christine Gaigg, Chris Haring, Anne Juren and Paul Wenninger – will stage parts of this body of orchestral miniatures, to which more than 100 composers have contributed their works. Pieces of movement for orchestra is an encounter between various choreographic and musical contemporary voices, which question the experience of hearing and seeing in a new way. Pursuing a dramaturgy of concentration and dispersion, social images and projections will be negotiated on the basis of the real physicality of the dancers as well as of the orchestra body. In various ‘choreographic acts’, the real music used, the conditions of body and space and also the history of the relationship between dance and music and its traditions in its mobility, changeability and inertia will be examined, also with regard to its boundaries. Compositions by: alien productions, Peter Ablinger, Christoph Cech, Friedrich Cerha, Christian Diendorfer, Johanna Doderer, Karlheinz Essl, Christian Fennesz, Roland Freisitzer, Bernhard Gander, Heinz Karl Gruber, Georg Friedrich Haas, Hannes Heher, Peter Jakober, Robert Jelinek, Matthias Kranebitter, Bernhard Lang, Klaus Lang, Martin Lichtfuss, Radu Malfatti, Wolfgang Mitterer, Christian Mühlbacher, Olga Neuwirth, Georg Nussbaumer, Konrad Rennert, Andrea Sodomka, Burkhard Stangl, Wolfgang Suppan, Erich Urbanner, Mia Zabelka, e.a.